Discover the range of DermaTx skincare cosmeceuticals here at Mankind. 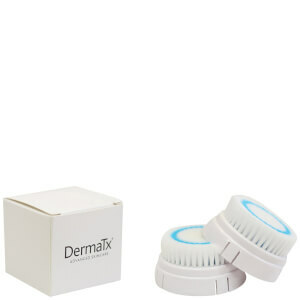 DermaTx is a cosmeceutical skincare brand designed to bridge the gap between cosmetics and pharmaceuticals. Scientifically proven, each product contains optimal levels and strengths of active ingredients to visibly improve the skin. Treating skin conditions, the microdermabrasion products exfoliate the skin to maintain skin health. The DermaTx Microdermabrasion System is an innovative skin tool which is designed to create healthy, exfoliated skin. Available with three different creams which each target different skin types, you can personalise your set to your complexion. The facial tool to be used with the microdermabrasion cream utilises advanced micro-pulsing vibrations to massage and exfoliate the skin. Complete with both a sponge head and brush head, it stimulates cell renewal and circulation for a brightened, healthy glow and removed impurities.